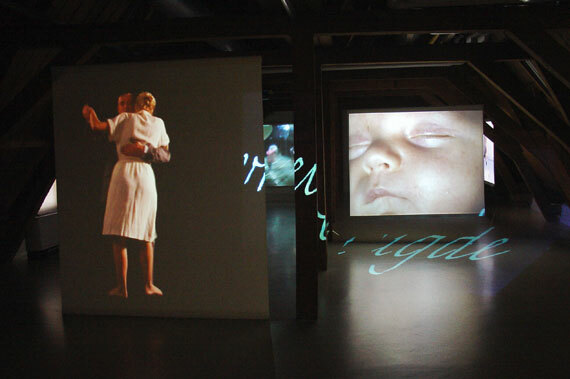 Exhibition at the Stedelijk Museum Schiedam, "Attic of memory"
was made. Starting-point was the attic where the installation was situated. The attic is a place where old things are being stored and memories are captured. An attic is a place where you can search for things from the past. The 6 projections form some sort of life cycle. Different aspects of life are being shown.